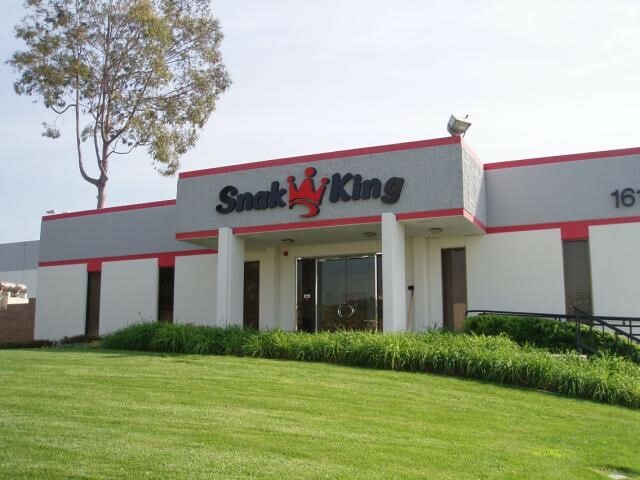 In 1978, Snak King began with two employees. Working in a 1,200-square-foot facility, they made just one product. In 1979, Barry Levin, our CEO, became employee number three, right after graduating from college. After a few years, Barry acquired the company with a single goal–to make sure customers’ needs were fully met by delivering the most consistent, high-quality product. 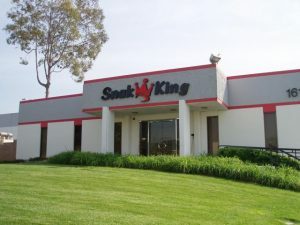 This devotion to customer service and a willingness to say “yes” is what spurred Snak King’s growth. When a company asked if Snak King could make Popcorn for them, the answer was “Yes!” The same story repeated itself for Caramel Corn, Cheese Puffs/Curls, and then Tortilla Chips. The product portfolio grew. With each new snack item, the focus on quality never wavered. From day one to today, the mission has been to listen to our customers and consistently serve their needs. We are a reliable brand with a commitment to customer satisfaction and excellence. Through this devotion, we have been able to build a portfolio of both private label and branded snack products across all industry categories. We are honored to be known as a company that has maintained a nimble, entrepreneurial spirit from our founding, even as we’ve grown from 1,200 square feet to over 700,000 square feet. We now produce snacks for customers nationally and internationally. We offer products with certifications that are recognizable and important to our customers. Kosher Certification & Inspection Programs have been part of our business for over 25 years. OU signifies the highest quality and consistency. “We are so proud to work with and be certified by OU. This trusted symbol is important to our customers and their products and brings added relevance to our own brands,” Barry Levin, Chairman & CEO Snak King. Snak King has a diverse range of types of products it produces that qualifies for the seal. We produce snacks that run the gamut from savory to sweet. Product offerings include: tortilla chips, popcorn, potato chips, cheese puffs/curls, caramel and kettle corn and popped crisps. Our Quality Assurance team works around-the-clock to ensure that everything from raw materials to finished products is safe and consistent. We diligently inspect raw materials and regularly run production tests to maintain the highest quality standards. Kosher certification involves several steps at Snak King. First, The OU’s Ingredient Approval Registry staff carefully reviews all ingredients and determine if we need to change or modify sources of supply for raw materials to ensure we comply with certified Kosher standards. Second, we abide by special instructions that relate to the use of our equipment and/or stipulations for segregation of production lines. Finally, we have a Rabbinic Field Representative that visits our plants to verify that we are meeting Kosher standards every step of the way.